Change of Practice – ACTIVATOR Poles in Comparison to Canes & to Reduce the use of Walkers and Crutches when appropriate. Recently, ACTIVATOR Poles were the focus of 8 international and national conference presentations/posters on this change of practice. 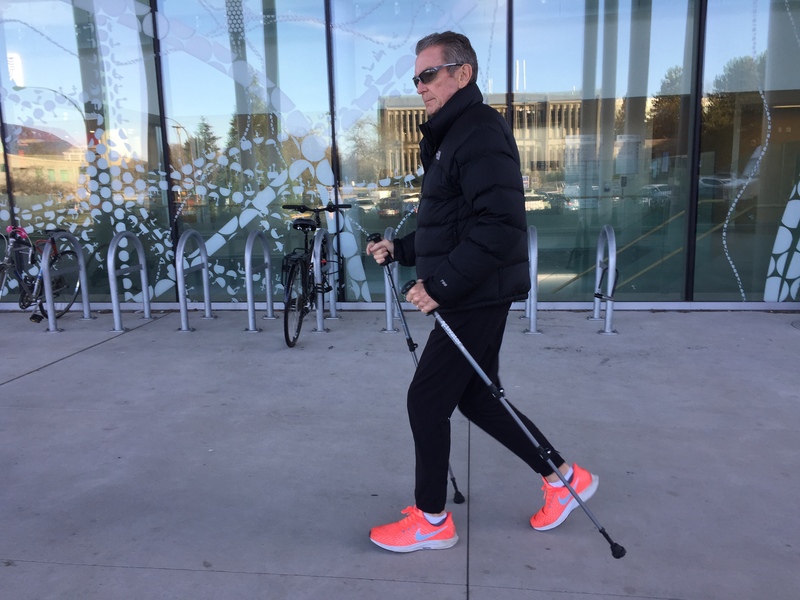 Watch this 15 minute webinar on the research of the ACTIVATOR Poles and several videos demonstrating the use of the ACTIVATOR Poles with orthopedic, spine, amputee and neurological clients compared to other traditional mobility devices. Learn how patented ACTIVATOR Poles & technique were designed for increased safety and effectiveness for rehab to promote; improved posture, bilateral balance, normal gait pattern and increased core strengthening. Examples of dynamic seated, standing and pre-gait exercises will be shown as well as our new ACTIVATOR2 Poles for taller clients (up to 6 ft 4 inches). Webinar includes testimonial from Dr. Jack Taunton, Chief Medical Officer of the 2010 Olympics, who uses the ACTIVATOR2 Poles after 7 spinal surgeries.